To bring peace of mind to holidaying and busy pet owners by offering a convenient and reliable pet care service, provided by genuine animal lovers. Through our high level of commitment and care, our aim is to be the first choice of all pet owners within our community. All of our staff and franchisees are dedicated animal lovers, who are capable and responsible people. At Lonely Pets Club we pride ourselves in employing only quality individuals who will conduct themselves with integrity at all times. Our carefully screened staff all have a background of caring for animals, for example many of them have done voluntary work at organisations such as the RSPCA. We are fortunate to have many people apply to work for us, so can afford to be very selective. Each prospective staff member is interviewed several times, a Police check is made and references carefully followed up. Each staff member must agree to adhere to the Lonely Pets Club Code of Conduct to maintain a consistent, high standard of service. We are constantly in contact with our clients to ensure they are happy with the service we are providing. We love what we do; we work outside with the animals we love and we get to talk to lots of different pet owners. As a result, you'll find us happy, approachable and decent people. 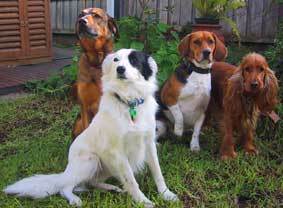 Lonely Pets Club was formed in Brunswick, Melbourne, during the early months of 2003. Jo and Justin shared both their love of pets and the vision of one day working for themselves. With the "corporate life" not being as appealing as it once was, they were awaiting inspiration with what to do with the rest of their lives. Then it happened. They were due to go interstate and had difficulty finding either friends or family to pet sit whilst they were away. It was then that they discovered there was a need for an alternative form of pet care, besides using kennels. Rusty (German Shepherd Cross) first met Jo at the RSPCA in Burwood on a cold Melbourne morning back in 1999. Soon after winning Jo over (easily), he was comfortably inside Jo's 1993 Ford Laser, en route to a new home, new life and new adventures. Within a few weeks the back lawn was a mud pit and most of her pot plants smashed. Assuming Rusty was lonely for canine companionship, Jo went back to the RSPCA to find a companion for him in a sweet, beautiful 'quiet looking' white Border Collie, Tessa. 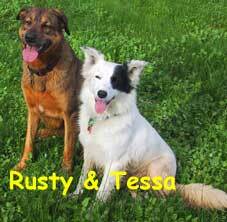 Tessa settled in quickly and soon taught Rusty a few new tricks, such as how to rip out a sprinkler system! Justin had his hands full keeping his dogs Leroy (Beagle) and Charlie (Cockerspaniel) under control. 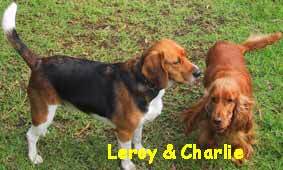 His efforts in buying Charlie to tame the rogue Leroy backfired, when Charlie thought she would take on the qualities of Leroy. They were two over active, but totally lovable, scent craved dogs. New friends soon joined the household. Hens, goldfish and a beautiful grey tabby cat called Murphy. He arrived as a scared scattery 4 month old homeless kitten, but Murphy (right) soon underwent a remarkable transformation into a friendly, confident family member loved by all. These beautiful characters have long since left us for the rainbow bridge but they left a legacy for Australian pets in the form of Lonely Pets Club. From our humble beginnings in Brunswick, Melbourne, in 2003 we quickly understood there was a need for a quality, caring pet feeding and dog walking service everywhere that pets are found. By 2005 we had developed a network of like-minded animal loving carers and were able to offer our service over most parts of Melbourne. 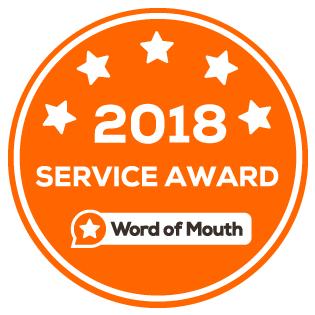 We soon realised that a franchise model would enable us to continue to provide a high quality, reliable service to so many pet owners - whilst allowing us to occasionally take a holiday ourselves! We knew that franchising would only work if the applicants selected to become franchisees shared our passion for animals and commitment to providing the best possible service. In March 2008 we commenced franchising and now have franchisees in most Australian cities. It is great to be able to share our vision and philosophy with these like-minded, dedicated franchise owners and the carers they have selected to help them look after members' pets. Find out more about your local carer here.